MATTHEW Hayden was one of the most commanding batsmen the game has ever seen – and one of its great enigmas. A devout Catholic, and a ruthless on-field sledger. A brutal enforcer, and a soft-hearted family man. The Australian record-holder for highest score in Tests and One Day Internationals, who was at times troubled by self-doubt and doubters. In Standing My Ground, Hayden confronts these contradictions head-on. He talks frankly about the forces that shaped his journey from fringe international to a giant of the game. He dissects Australia’s tactic of verbal warfare and his own role as a key aggressor, taking us on a privileged tour inside the sporting machine that dominated all comers in a golden age of Australian cricket. This isn’t a predictable ball-by-ball account of a stellar career. Instead, Hayden delivers characteristically direct assessment of the matches and the people that mattered most. He pays homage to great role models like Allan Border and explains his deep connection to controversial Andrew Symonds, but also reveals colourful clashes along the way. He opens up on umpires, the media, superstitions, teammates and opponents with disarming honesty and humour. The country boy from Kingaroy rose to greatness in the cricket world. Here is the superstar batsman, the surfer, fisherman and chef in a book as bold and powerful as the man himself. A tell-all book on and by Pakistan cricket’s fastest and most controversial bowler One of the most talented and certainly one of the most colourful players in the history of cricket, Shoaib Akhtar holds the record for the fastest delivery ever, clocking in at 11.2 mph. Having taken more than 400 wickets in his international career, Shoaib has seen it all-the best matches, the most exciting tournaments, the highs and lows of personal achievement and failure. Controversially Yours is his take on the game, on his peers, on the fraught tussles between bowlers and batsmen and, of course, the institutions that control the sport, including the ICC and the Pakistan Cricket Board. From the early days of struggle to the 2011 World Cup, this is Shoaib’s story in his own words, straight from the heart. Anshu Dogra is the director of Manana and has been leading research-based programmes for the past two decades. She is a published author and journalist. Her work has focused on gender, history and culture and she enjoys writing about her travels. A legend of Pakistan cricket, Shoaib Akhtar is a former right-arm fast bowler, who is regarded as the fastest bowler in the world. He retired from international cricket after the 2011 Cricket World Cup. The book contains the secrets of success, and it applies as much to most forms of life’s endeavour as it does to sport When you understand that pressure is part and parcel of your life and that there are things you can do to control Wit, you will face up to it in a positive way and use it to your advantage.’ -Rahul Dravid Rudi Webster, a doctor who has done pioneering work in the field of sports psychology, draws up a fail-safe recipe for on-the-ground performance optimization in this remarkable book. He ropes in some of the world’s finest sportsmen to explain their own success techniques: Mahendra Singh Dhoni, Rahul Dravid, V.V.S. Laxman, Clive Lloyd, Dennis Lillee, Wasim Akram, Jacques Kallis and Sir Garry Sobers. They talk about the four interconnected pillars that performance in sport is built on: fitness, technique, strategy and mental skill – but, unanimously, they declare that the mental pillar is the most important. At the highest level of sport, it is this skill that determines how well the other components are combined and executed. Dr Webster’s book aims to optimize every aspect of a player’s form and performance. Through inventive techniques, especially visualization and mental rehearsal, he reinforces the practice of a physical skill so that it is learned more quickly and imprinted more powerfully in the mind – and thus better executed. Says ace cricketer V.V.S. Laxman, ‘These two techniques help a player improve dramatically. Every young player should […] make them an important part of their practice and preparation routine.’ This book is all you need to call forth your best performance at the right time. The definitive history of a cricket team the world loves to watch, but is at a loss to explain The story of Pakistan cricket is dramatic, tortured, heroic and tumultuous. Beginning with nothing after the Partition of 1947 to the jubilation of its victory against England at the Oval in 1954; from earning its Test status and competing with the best to sealing a golden age by winning the World Cup in 1992; from their magic in Sharjah to an era-defining low in the new millennium, Pakistan’s cricketing fortunes have never ceased to thrill. This book is the story of those fortunes and how, in the process, the game transformed from an urban, exclusive sport into a glue uniting millions in a vast, disparate country. In its narration, Osman Samiuddin captures the jazba of the men who played for Pakistan, celebrates their headiest moments and many upheavals, and brings to life some of their most famous – and infamous – contests, tours and moments. Ambitious, spirited and often heart breaking, The Unquiet Ones is a comprehensive portrait of not just a Pakistani sport, but a national majboori, a compulsion whose outcome can often surprise and shock, and become the barometer of everyday life in Pakistan, tailing its ups and downs, its moods and character. Osman Samiuddin is a sports writer with The National in Abu Dhabi. He is a former senior editor at ESPNcricinfo, where he still contributes as a columnist and editor of the site’s digital magazine, The Cricket Monthly. His work has appeared in a number of publications, including the Guardian, Daily Telegraph, Wall Street Journal, India Today, the Wisden Almanack, The Age (Australia) and Dawn. A panoramic view of one-day cricket… One-Day Cricket: The Indian Challenge chronicles the limited over game from an Indian perspective. It traces its origins and covers every World Cup and Champions Trophy tournament and the 1985 Benson & Hedges ‘World Championship’. India’s victory in the 1983 World Cup finds pride of place. Some all-time great one-day internationals (ODIs) are highlighted as well as India’s intense rivalry with Pakistan. 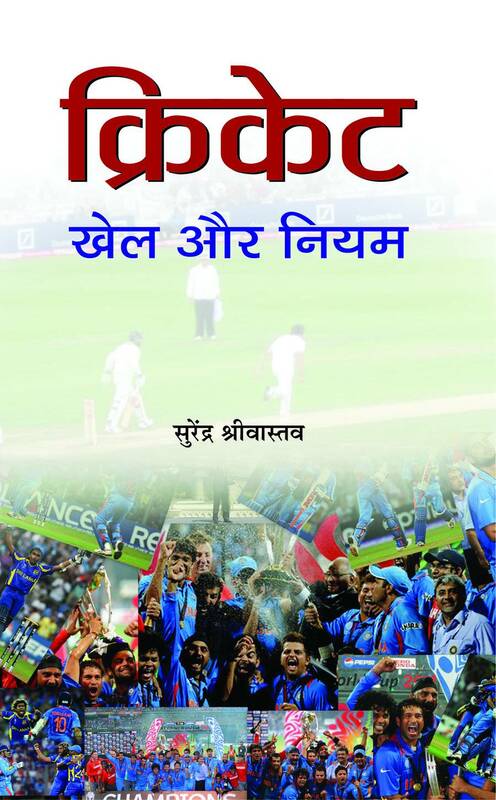 The book concludes with a preview of the 2007 World Cup, and also examines Saurav Ganguly’s previously controversial exclusion from the Indian side. An entire chapter is devoted to ‘the turning point’ for India in ODIs – a win against the then mighty West Indies in March 1983. The work also portrays the bumpy shift in the balance of power in world cricket from Anglo-Saxon control to Indian dominance. This mostly first-hand, anecdotal sweep of over 44 years of one-day cricket, blended with sharp analysis, is also an invaluable statistical guide. And it comes from the commentator who broadcast ball-by-ball on BBC, of India’s meteoric march in the 1983 World Cup. Impact Index is a revolutionary new way of examining numbers in cricket. It is a deep dive into the very mechanics of the game, which results in the unearthing of truly surprising – sometimes shocking – stories. 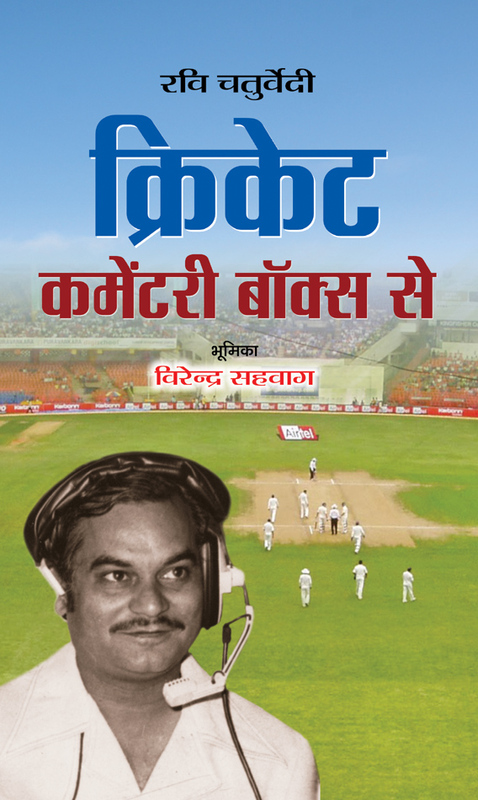 Within these pages are tales of cricketers who did not get their due, there are analyses of various aspects of the game and an examination of all formats of cricket. Impact Index is an attempt to challenge and enrich conventional readings, and ultimately to redefine it. One-third of all of India’s international runs have been scored by batsmen who came through the ranks of Bombay cricket. Bombay has won the Ranji Trophy forty times, fifteen of them in a row. Bombay batsmen have scored 461 centuries and fifty-eight double hundreds in the tournament. A Million Broken Windows is the story of how the city of Bombay, almost the birthplace of Indian cricket, has consistently dominated the game of an entire country. It illuminates the various facets of a cricketing culture that is infused with the spirit of the city of Bombay. Replete with anecdotes and analyses, the book discusses various leagues, tournaments, players, the fans and the city to paint a complex picture of the game and of Bombay itself. Makarand Waingankar introduces readers not only to the details of the cricketing story but also to the air of the maidans. 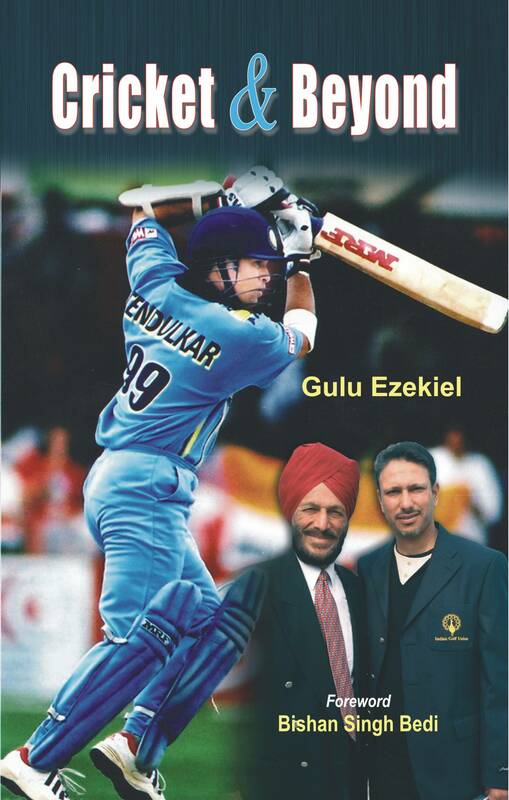 The book bears testimony to, and pays tribute to, a sporting story that is truly unparalleled. Makarand Waingankar is one of the most widely read cricket columnists, best known for blending meticulous research with his own experience of a life lived on the cricket fields of India. Journalist, columnist, researcher, talent spotter and administrator, he wears a multitude of hats, each of which fits smugly on his head. He launched the Talent Resource Development Wing (TRDW) on behalf of the BCCI (Board of Control for Cricket in India) in 2002 and the TRDW has since been responsible for taking many small-town players to the national stage, including former India captain Mahendra Singh Dhoni. In fact, seven such players were part of the 2011 World Cup winning team. Waingankar has also been the CEO of Baroda Cricket Association and consultant to the Karnataka State Cricket Association’s academy. 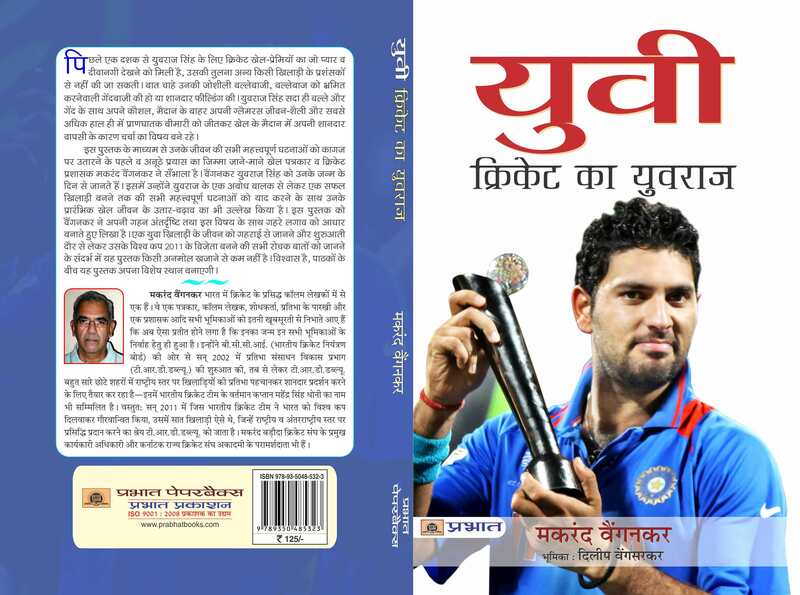 His first book Yuvi, published by HarperCollins, was a best-seller. Cricket as we know it may soon be no more. Thanks to Twenty20, technology, media, and the sheer financial power of Indian cricket, the gentleman’s game is on the brink of radical changes. Nation-based cups might give way to T20 professional leagues; umpires might be replaced by technology; and professional franchises, not national boards, might call the shots. Could cricket go the way of professional football? Will Test cricket survive in an entertainment-driven field? Will television rights deals determine the nature of the game? This upheaval has been accompanied by conflict between the old guard – England and Australia – and the new boss, India. If the spirit of cricket is to survive these changes, it requires the balancing of economic, political and sporting imperatives. The game must find a way to remain a financially solvent global sport that caters to the changing tastes of its fans and players by creatively using new media and limited-overs cricket. In Brave New Pitch, Samir Chopra takes a hard look at cricket’s tumultuous present, and considers what could and should lie ahead. Samir Chopra is professor of philosophy at Brooklyn College of the City University of New York. He blogs at The Pitch on ESPN-Cricinfo and at www.samirchopra.com. He can be found on Twitter as @EyeOnThePitch. He is the co-author of The India-Pakistan Air War of 1965 (Manohar Publishers, 2005); Decoding Liberation: The Promise of Free and Open Source Software (Routledge, 2007) and A Legal Theory for Autonomous Artificial Agents (University of Michigan Press, 2011). He is currently working on a book on the 1971 India-Pakistan Air War (HarperCollins, 2013). In Eye on Cricket, Samir Chopra, a professor of philosophy and a long-time blogger at ESPNcricinfo, offers us a deeply personal take on a game that has entranced him his entire life in the several lands he has called home. In these essays, Chopra reflects on a childhood centred on cricket, the many obsessions of fandom, the intersection of the personal and the political, expatriate experiences of cricket, historical regrets and remembrances, and cricket writing and media. Nostalgic, passionate and meditative, Eye on Cricket is steeped in cricket’s history and its cultural significance, and reminds the most devoted spectators of the game that they are not alone. It shows how a game may, by offering a common language of understanding, bring together even those separated by time and space and culture. With hundred centuries and over 34,000 runs in international cricket, Sachin Tendulkar, the highest run-getter in both Tests and ODIs, is the God of the religion called cricket. His exploits on the field have brought hope and joy to millions of fans. And yet, like God, he has his set of detractors always willing to remove him from the pedestal. In this revised and updated edition, the authors, who consider themselves fans and analysts in equal measure, follow the career of the cricketing demigod – his advent, his peak, his fall, his resurrection and, finally, his retirement. They also talk about India’s sensational WC 2011 triumph and Tendulkar’s decision to retire from international cricket. Armed with irrefutable statistical data, which they contextualize and analyse with rigour, the authors seek to end all debate on Tendulkar’s status as the greatest cricketer of the modern era. They compare him with his peers in both forms of the game, and provide the viewpoint of experts, players and commentators, so that the reader can independently draw conclusions. And if you still don’t believe that Sachin is God’s gift to the world of cricket, well, God help you! A brilliant anthology of essays on Mansur Ali Khan Pataudi with a foreword by Sharmila Tagore Essays by: Farokh Engineer, Abbas Ali Baig, Bishan Bedi, Mike Brearley, David Woolley, Naseeruddin Shah, Sunil Gavaskar, Ian Chappell, N. Ram, Tony Lewis, Vijay Merchant, M.J. Akbar, Suresh Menon, Ray Robinson, Mudar Patherya, Rajdeep Sardesai, John Woodcock, Rahul Dravid, Robin Marlar, Ted Dexter, Mike Coward, Saba Ali Khan, Soha Ali Khan March 1962: The Indian team to West Indies had just lost its captain, Nari Contractor, to a sickening head injury. A strapping young man, playing only his fourth Test, walked out for the toss with Frank Worrell at Bridgetown. At twenty-one, he was not only the youngest member of the team, but also the youngest to captain a Test side. He had returned to playing cricket only months after an accident that left him with vision in only one eye. For the next decade, Mansur Ali Khan Pataudi, or ‘Tiger’, was the undisputed ‘Nawab’ of Indian cricket, captaining in all but six of the forty-six Tests he played, forging a national identity in a team often divided along regional lines, proving a game-changer by raising the standard of fielding and by unleashing a famed quartet of spinners, the likes of which the world had not seen. In Pataudi: Nawab of Cricket, players, writers, editors, actors, friends and opponents reminisce about their association with Tiger. 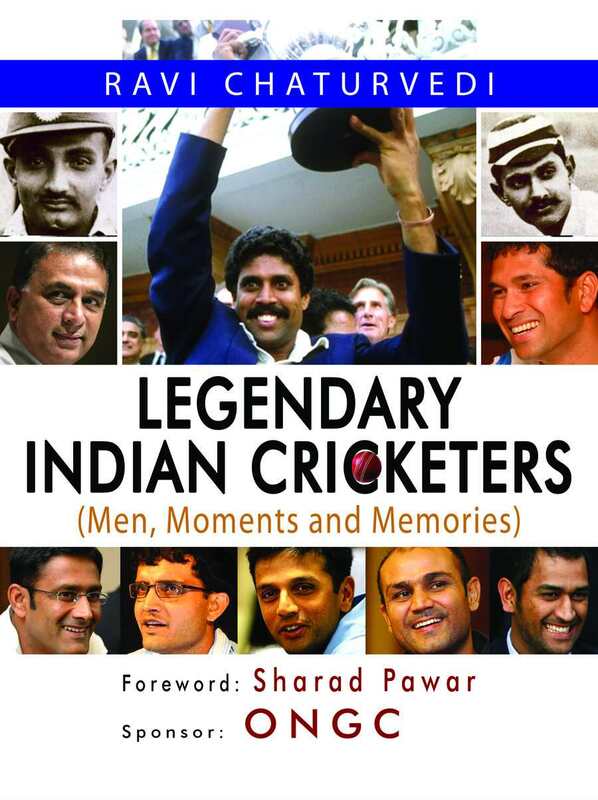 This extraordinary anthology – brilliantly put together by Suresh Menon, arguably India’s best sports writer and journalist – offers a fascinating portrait of a cricketer and a gentleman whose contribution to Indian cricket went beyond the number of Tests he played and the runs he scored. 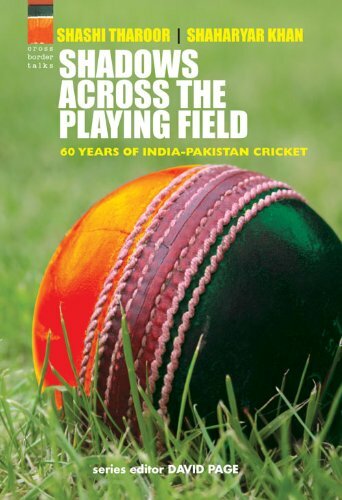 Shadows across the Playing Field tells the story of the turbulent cricketing relations between India and Pakistan through the eyes of two men - Shashi Tharoor and Shaharyar Khan - who bring to the task not only great love for the game, but also deep knowledge of subcontinental politics and diplomacy. Shashi Tharoor, a former UN under-secretary-general and man of letters, is a passionate outsider, whose comprehensive, entertaining and hard-hitting analysis of sixty years of cricketing history displays a Nehruvian commitment to secular values, which rejects sectarianism in sports in either country. Shaharyar Khan, a former Pakistan foreign secretary, is very much the insider, who writes compellingly of his pivotal role as team manager and then chairman of the Pakistan Cricket Board at a time when cricket was in the forefront of detente between the two countries. In their essays, the two authors trace the growing popularization of cricket from the days of the Bombay Pentangular to the Indian Premier League. They show how politics and cricket became intertwined and assess the impact it has had on the game. But above all, their book is a celebration of the talent of the many great cricketers who have captivated audiences on both sides of the border. If politics and terrorism can at times stop play, the authors believe that cricket is also a force for peace and they look forward to more normal times and more healthy competition. 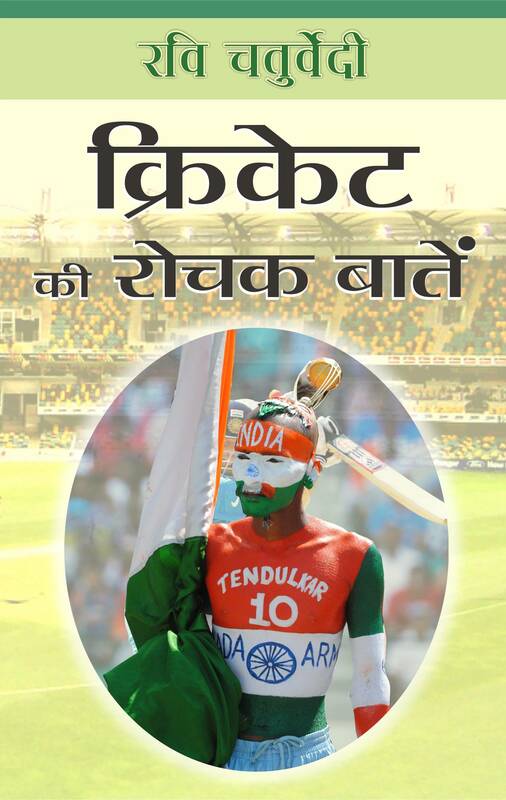 This book is more than a cricketing journal. It is essentially about the impact of this ennobling sport on the minds of people. For the cricket enthusiast, the book provides an insight into the drama, on and off the field, that led to the Pakistan Cricket team's triumph in India and disaster in South Africa. Apart from purely cricketing analyses, the book covers issues such as match fixing allegations, neutral umpiring, captaincy and coaching. The Business of Cricket: The Story of Sports Marketing in India. HOW SPORTS MARKETING HAS BOWLED US OVER Sports marketing is all-pervasive today – no matter where you look, there is no escaping a Dhoni, a Tendulkar or a Sehwag. It wasn’t always like this. There was a time when sportspersons got fame from sport, but not the money commensurate with that fame. Then Sunil Gavaskar, India’s first batsman-entrepreneur, came along, and in his wake followed Kapil Dev and Sachin Tendulkar. Helped by television and competing multinational brands vying to expand their market in a liberalizing India, sports marketing, which in India is synonymous with cricket, exploded. The culmination of this process was the Indian Premier League (IPL), a brilliant marketing concept that was a win-win for players, sponsors, media and viewers alike. This book, written by two sports enthusiasts who are also ace sports marketers with a combined international experience of forty years in marketing, takes us on an engaging and informative journey through the highs and lows of sports marketing in India. Along the way, the authors explain what constitutes good sports marketing, how the market can be expanded, what the prospects are for sports other than cricket, and why the sports fan needs to be better treated. An incisive, heartfelt book that will appeal to sports fans, marketers, advertisers as well as administrators. When Aakash Chopra started to write his diary in September 2007, he had no idea that it was going to be an extraordinary year, both for him personally, and for the game of cricket. It began with a great run in the Ranji, culminating in Delhi’s victory. Delhi also went on to become North Zone champions, the North Zone won the Duleep Trophy, and in almost every game, Aakash was among the runs. He ended the season with 1339 runs from fifteen games, with five centuries that included three double centuries. Then came the IPL, with its glamorous tie-in with Bollywood. And Aakash found himself on the most talked about side of them all: the Kolkata Knight Riders.A view from within of all that made 2007 such an exciting year for cricketers and cricket lovers, this fast-paced and often tongue-in-cheek account takes us behind the scenes with an honesty and forthrightness uncommon to Indian sport. ‘When you are Rajasthan, last in the plate division, never having won the title, never even coming close to a final in over three decades, you don’ t play to win the honour, you play to save what you can of yours. ‘ Ending up at the very bottom of the Ranji Trophy ‘s lower division shook Rajasthan up. The team staked all it had on the season of 2010-11; it became the player’s one shot at redemption. This is the inspiring true story of the player’s motivation, their passion for cricket, and of a cricket association that changed the rules of how domestic cricketers are groomed in India. Together, they resurrected the Rajasthan team – against all odds. This is the scintillating story of Rajasthan’s first Ranji Trophy win, written by the team’s highly successful opening batsman himself. If Aakash Chopra’s first book laid bare the administrative apathy and corruption that domestic cricket is mired in, this one is a closeup of what it could be. How does a batsman concentrate? Just how is a player ‘in form’ or ‘out of form’? Are preparations for Tests, ODIs and T20s really very different? Why do certain teams ‘crumble badly under pressure’ while others ‘choke’? And, really, what makes for pressure? This insightful book by former international cricketer Aakash Chopra takes you inside the making and unmaking of cricketers: how they think, how they are likely to react to various match situations, and above all, why they react the way they do. From reading the bowler to gauging the batsman, from playing the bouncer to elding at short-leg, from the technical aspects of the game to the psychological, from the tangible to the abstract, The Insider shuts out the noise and hysteria to allow fans a rare peek into the cricketing brain. 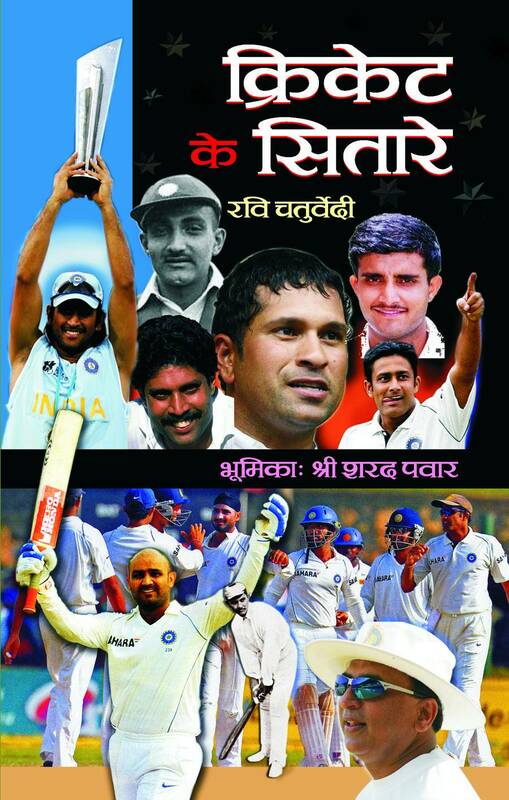 This compelling volume is a milestone in writing on cricket. When Sourav Ganguly and Team India beat Pakistan in their own country in 2004, it was a historic win. Dada tells the behind-the-scenes story of that victory and his strategies for coping with the pressure of playing India’s biggest rival. This is a chapter from A CENTURY IS NOT ENOUGH. Learn to Play - Cricket is a fun joyful ride for the reader that lets them know about the intricacies of the game. It gives an in depth analysis of the game to the reader who gets to involve himself completely in the game.